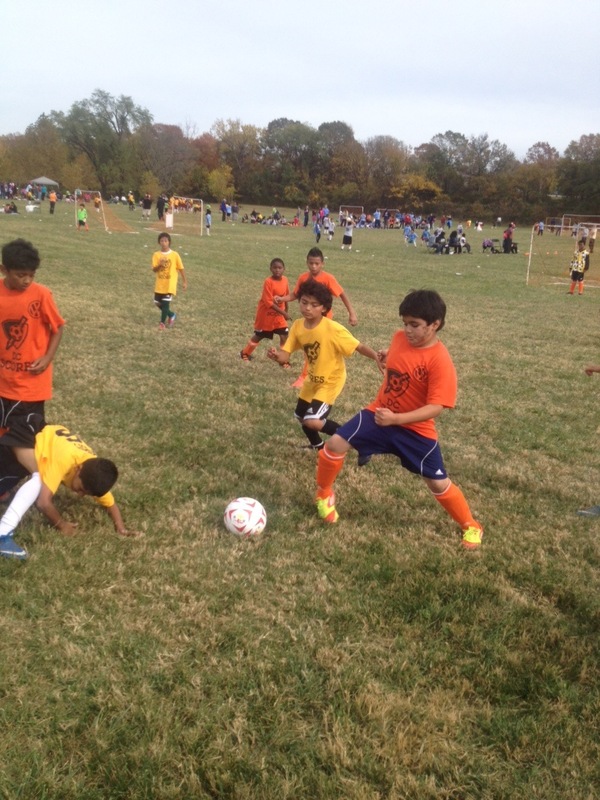 DC SCORES: Inside the season at Marie Reed Part V: Fall Frenzy success! Inside the season at Marie Reed Part V: Fall Frenzy success! Unbridled excitement and pride roared from the painted faces of the Marie Reed students, who had just completed their fourth and final set of games during the 15th Annual DC SCORES Fall Frenzy. “They’ve won all their games!” he pointed out animatedly. The Reed boys and girls teams also learned to play with each other when another school wasn’t present. Reed’s boys and girls teams split into four coed groups and scrimmaged, strengthening the bond between the two teams that normally don’t practice or play together. 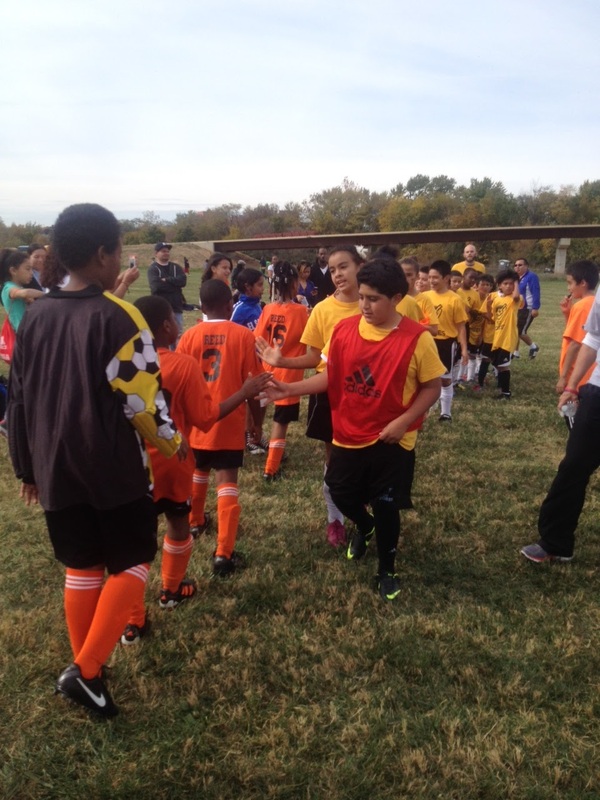 The experience proved invaluable when Reed played a coed game against another school with fewer students. 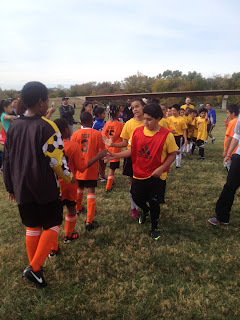 There was nothing but smiles on the faces of the Reed students as they headed for the bus at Anacostia Park. After a long, hard, soccer-filled day -- mixed in, of course, with relay races; haiku writing; dancing; and more -- it was clear that all of their practice and work had come to fruition.